Women are often told that purse carry – sticking a gun in their purses – is an easy way to avoid the problems associated with on-body carry. “Just as easy as plopping your Glock in your handbag, little lady!”…yeah, right. Concealed carry purses sound tempting because it doesn’t require changing how you dress. There’s no need to find pants with belt loops and a belt that’s sturdy enough to carry a gun but delicate enough to appear feminine. 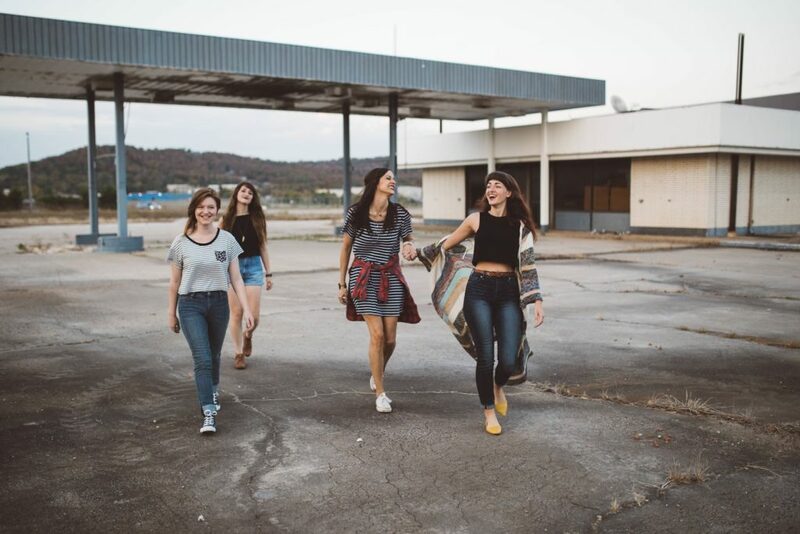 You can still wear form-fitting clothing since there’s no danger of “printing” and having the outline of a gun show or throw off a sleek silhouette. But it’s not as simple as just dropping a gun in a bag. 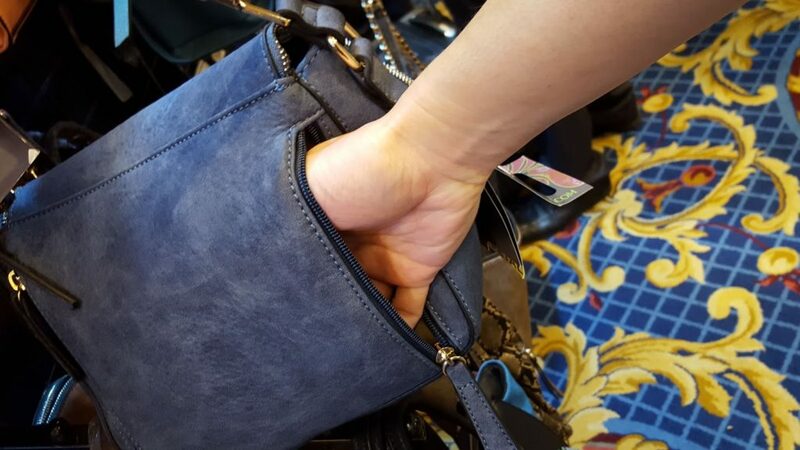 There are a lot of potential downsides to purse carry: the gun might not fit into the purse; it might not stay where it’s supposed to inside the purse; it might be hard to get out of the purse; the purse might be misplaced or stolen. While there are carry solutions for all types of outfits, they can be challenging or still require clothing changes. Fortunately, at least some of those issues can be addressed. Let’s take a look at some of the problems with purse carry, and how to correct, or at least mitigate them. 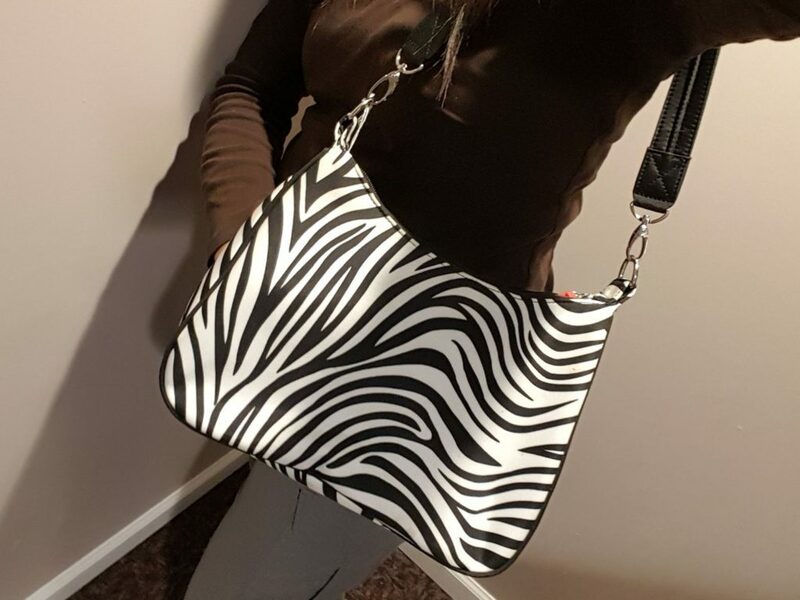 It seems like a new concealed carry purse brand shows up on the market every few months, with styles ranging from western chic to modern bohemian, sleek leather to funky fabrics, and on and on. 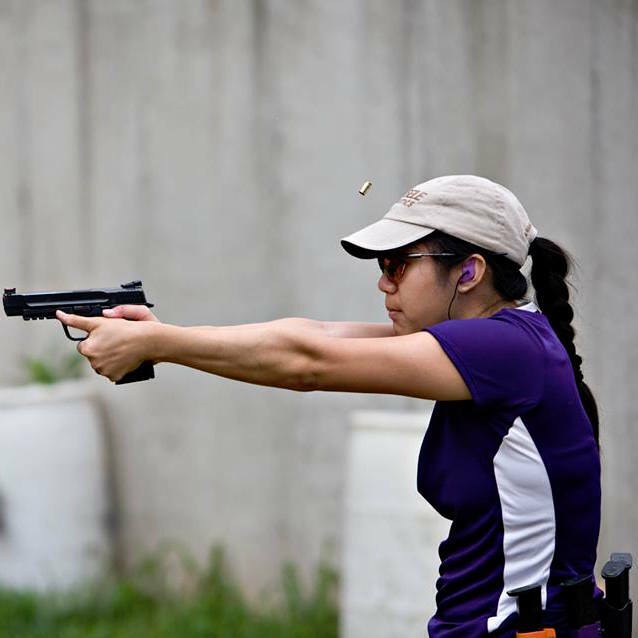 Whatever your reason for carrying a gun, figuring out how to carry can be a challenge. So how’s a girl to choose the best bag for toting a gun? With hundreds of carry purse options on the market, how to pick the best one? The first step is to make sure there is a separate compartment that will hold the gun and nothing else. Having other things in the same pocket can cause all sorts of problems ranging from making it difficult to locate and draw the gun when needed to causing an accidental discharge or a barrel obstruction. 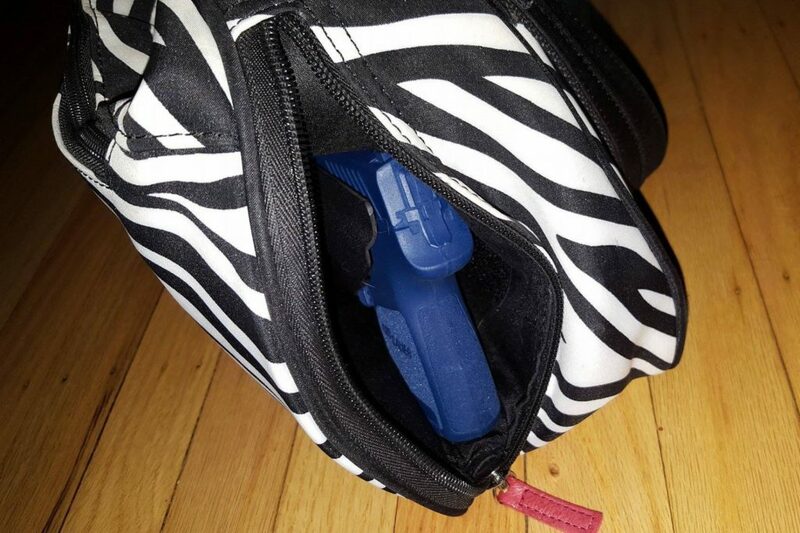 Your gun shouldn’t have to share its space with all the other things in your purse. The opening for that compartment should not only be easily reachable and simple to open (small zipper pulls need not apply! 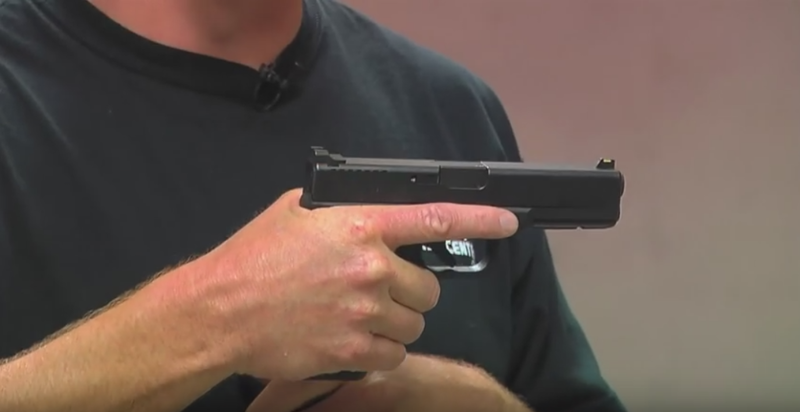 ), but it should also be large enough not just for the gun to slide in easily, but for the shooter’s hand wrapped in a firm shooting grip around the gun to be drawn out as well. A big pocket doesn’t help if you can’t get the gun out in a usable way. Here, you can see my hand barely fits into the opening of the gun compartment. It would be even worse wrapped around a gun’s grip. It’s best if the gun isn’t floating around in its pocket too. A holster made specifically for the gun being carried can be secured inside with Velcro, and doesn’t need to add a lot of bulk. Soft pouch-like holsters are popular, but they don’t hold guns securely if the bag is jostled around. You can fix this problem with a properly-applied retention strap or, even better, using a Kydex or plastic holster body. Either way, the holster will protect you from accidental discharges and keep the gun in a consistent place so that it is easier to draw if needed. There are a number of great CCW holsters out there, and many of them feature a Kydex body that can be velcroed inside a CCW purse. The overall purse must also be sturdy enough to support the weight of the gun, and have a design that is comfortable to carry. One of the often-cited advantages of purse carry is the ability to bring along a bigger gun, but with that bigger gun comes more weight. Floppy fabric or a skinny strap not only make a bag difficult to carry and potentially more likely to be left behind, they can make it too apparent that there’s a gun or other valuable inside. Soft fabric and thin straps are no good for toting guns. A word about straps – a common fear associated with purse carry is purse snatching. 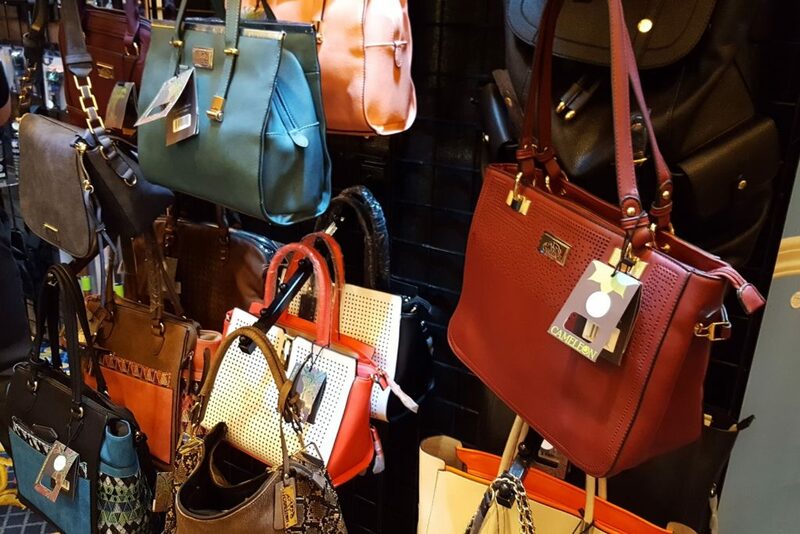 Cross-body and wire-reinforced straps are often featured as a way to keep purses from being stolen, but come with the caveat that if a purse snatching is attempted, the owner may not be able to avoid a violent struggle over her purse. You can check out the most popular concealed carry purses here. Buying a good carry purse isn’t the only necessary part of purse carrying effectively. It’s important to build some good habits around using it too. 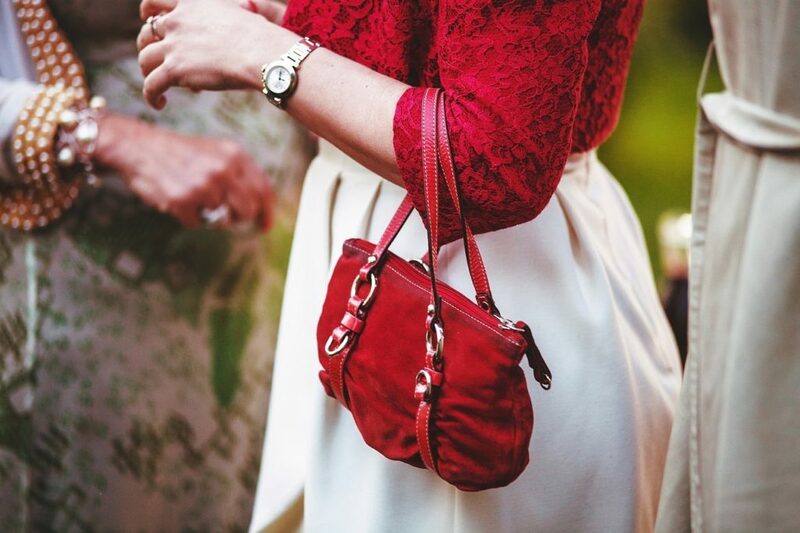 The most important is to never leave the purse unattended or easy to grab. 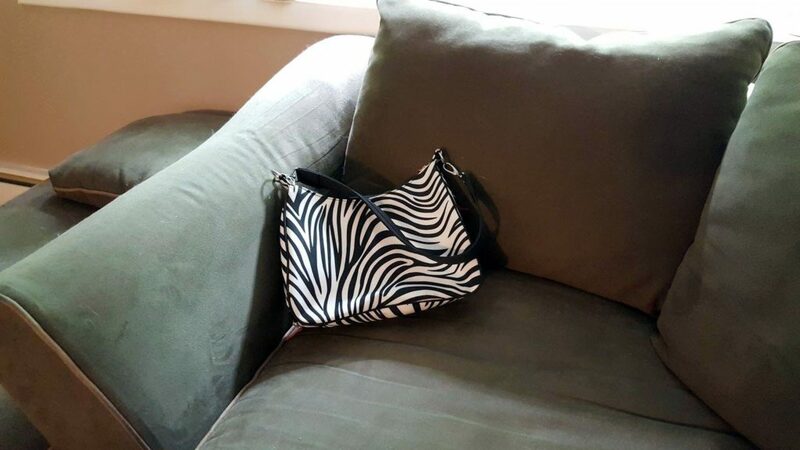 It’s extremely common for women to hang their purses off the back of a chair at a restaurant or to plop them down in a corner when stopping by a friend’s house. With a gun inside, that’s not okay. Allowing the purse to get outside of the immediate control of the carrier means that someone unauthorized could get their hands on the gun, whether a criminal or an innocent child. Tossing your purse on the couch is something you won’t be able to do if you’ve decided to purse carry. Some carry purses come with a locking mechanism so that even if someone else gains access to the purse, it’s not as simple for them to get access to the gun inside. Of course, if your purse is stolen entirely, no lock will slow the thief down for long, but how about for other times? Aside from the fact that many carry purse locks are relatively flimsy, they come with the danger that it may be left in the wrong state unintentionally, with the bad outcomes you can imagine. It’s better to deny access to the purse than rely on a fiddly tool. 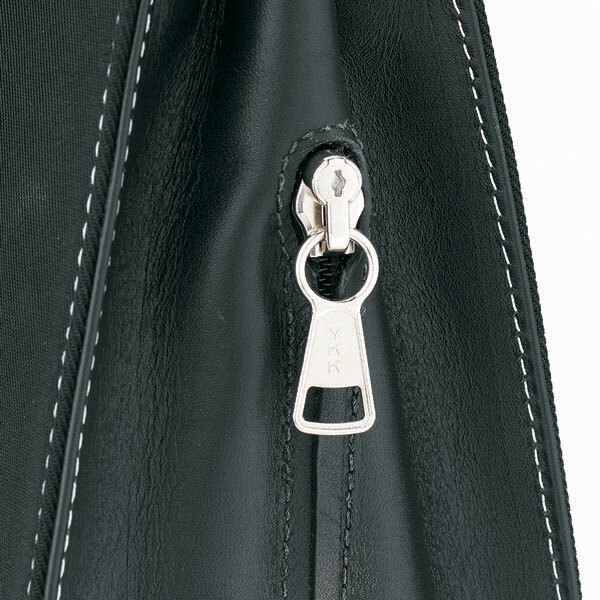 The locking zipper for the gun compartment on a Galco Metropolitan handbag. 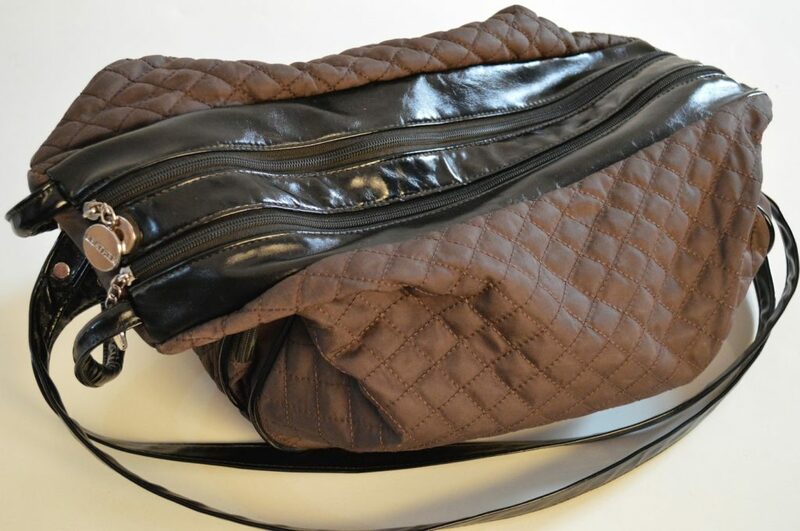 One option to simply avoid the problem of purses left alone or stolen is to split the difference by using a carry bag that is attached to the body, such as a fanny pack or hip bag. They may not be the most fashionable, but they allow for concealment without changing actual clothing, and have the flexibility to be easily taken off if needed. Because they’re worn directly on the body, it’s harder to forget about them and they don’t tend to attract crime like a dangling purse might. On-body bags have another advantage: they are always in the same place. With a standard carry purse, it’s important to be consistent in how and where it is carried, so that there’s no confusion on where the gun is and how to get to it in a self-defense situation. Even with a purse that has multiple openings into the gun compartment, you don’t want to be reaching into the wrong side of the bag to find that you can’t get your hand around the grip of your gun when you really need it. Purse carry comes with a few special considerations once it comes to actually using the gun. You know, the important part. When drawing a gun from a purse, it can be very difficult to make sure that the muzzle is always pointed in the intended direction. If the purse is carried on the shooter’s strong side or front and the gun compartment is accessed from the top, it’s not much different than drawing from a more traditional on-body holster, but side openings can be more complicated. Either the gun is drawn from the front and swung around towards the attacker, or the purse is brought forward so that the gun can be pulled out into the shooter, then punched back towards the attacker. When there is limited room to maneuver, both can make it difficult to actually get the gun out. Even if the gun can be successfully drawn, bystanders and the shooter’s own body (particularly the brachial artery) can be swept by the muzzle. It can be tricky to safely draw from a purse – Can you spot any issues with the draws here?Once the gun is out, the purse will be left dangling. An awkward, perhaps heavy, swinging weight hanging off an arm or shoulder can challenge even a skilled markswoman, and should not be discounted as a purse carry challenge that should be addressed in practice. You’ll often hear the recommendation to just shoot from inside the purse. Not only does the fabric inside the purse interfere with gun function, whether semiautomatic or revolver, unsighted fire is extremely inaccurate even if the other contents of the purse don’t get in the way. And even worse, it can’t be effectively practiced. Shooting from inside the purse should not be a primary strategy for purse carry. There is a positive, though! 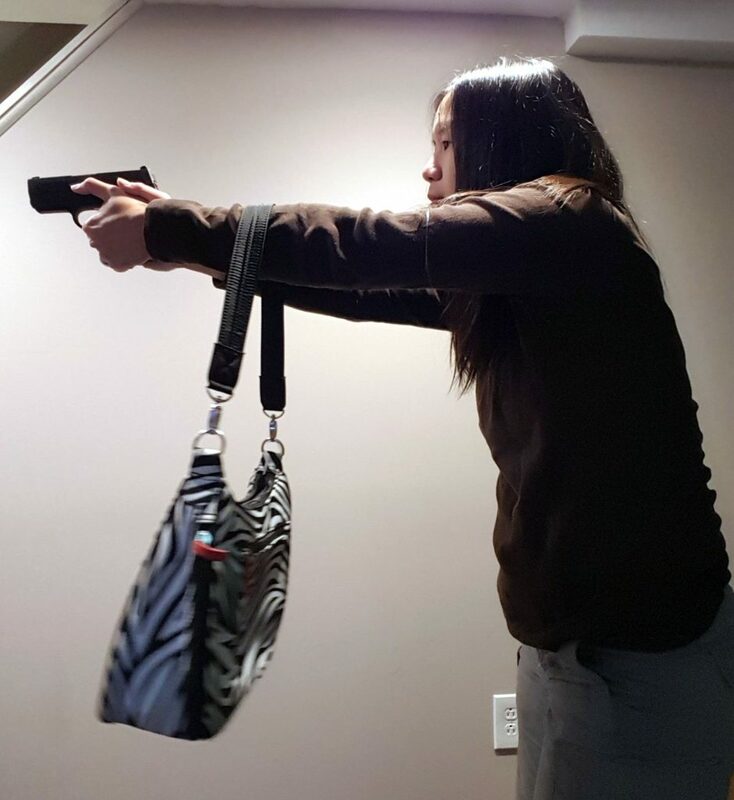 With the right style of bag, a purse carrier may have the ability to discreetly put her hand on her gun in a full firing grip. While we’ve already talked about how problematic shooting from inside the purse can be, having a hand on the gun reduces many of the fumble factors involved in the draw. And unlike putting a hand on a gun in a more traditional on-body carry position, a hand in the purse may appear less threatening. While it’s obvious I’ve got something in my purse, it’s not as obvious I have my hand ready to draw my gun here. Is Purse Carry Still Worth Trying? There are a number of issues you have to overcome when carrying a weapon concealed, from avoiding printing, to figuring out how to use the bathroom. Even with all of these downsides, there are good reasons that every woman should know how to purse carry as safely and effectively as possible. In spite of many excellent on-body solutions, you might not have the specific gun and holster combination you need to have your gun with you when wearing a specific outfit you can’t change. You might discover that the shirt you are wearing one day doesn’t quite conceal as well as you thought it did, and need somewhere to stash your gun. For that matter, you might find yourself in a situation where you need to temporarily remove your gun and want to store it safely until you can put it back on, such as in a clothing store changing room or at a doctor’s office. 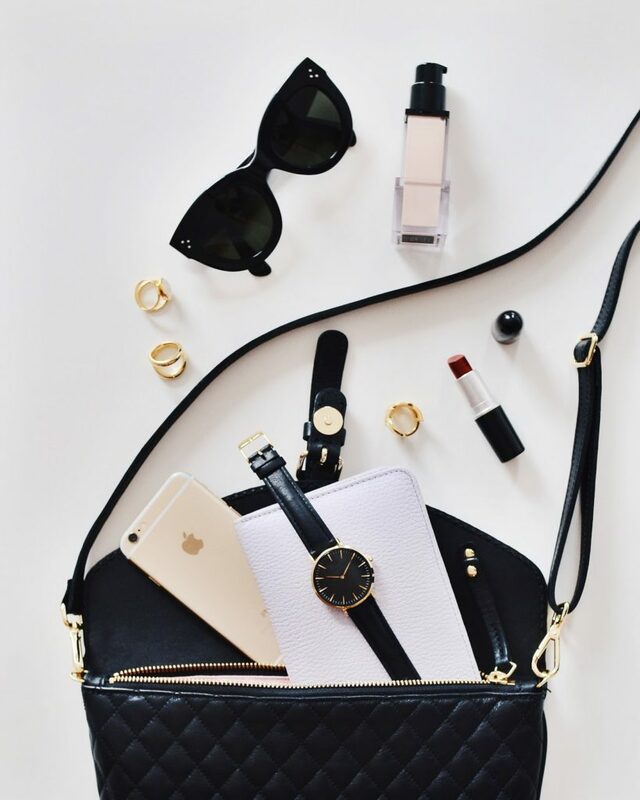 While it’s not the most ideal solution, there’s no reason that a woman can’t make purse carry better by thinking through some of the problems and solutions above. And lastly, however you choose to carry, we recommend taking a look at CCW Insurance (review) which will cover you for civil/criminal proceedings in the case of a defensive gun use. I agree with you in making sure that there has to be a separate pocket for the gun so it doesn’t tangle up with the other items inside the purse. If you put it in the same compartment as the make-up, then there is a tendency of accidentally pulling the trigger. I’m planning to train my self to use a gun, and I need a cute purse to conceal it. Thanks for the article. It gave me an idea. I think all the purses shown in this article are ridiculous. I carry an over the shoulder, across the chest bag. It has a compartment just for my gun and other small compartments for meds, wallet, check book, etc. The shoulder strap is adjustable as to length, so my gun ends up right at my side in the same location as it would be if I carried on a belt. I NEVER take it off or lay it down when I am out and about. Carrying a purse on your arm is asking for trouble. Well i only purse carry when wearing a dress. Other time i carry Iwb. I carry a ruger and a sig 238. I have a purse that has a separate compartment for my gun and is easily drawn if needed. My purse is firm not flimsy. Yoy have good advice. Purse carry isn’t for me. I carry appendix, a kydex fit the gun clip to jeans in between pants and skin hammerless Ruger. A purse in a pinch maybe.